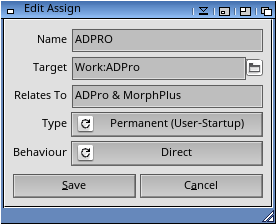 Description: A GUI for managing the assigns on your system. assigns in the Startup-Sequence, User-Startup and any other active assigns. 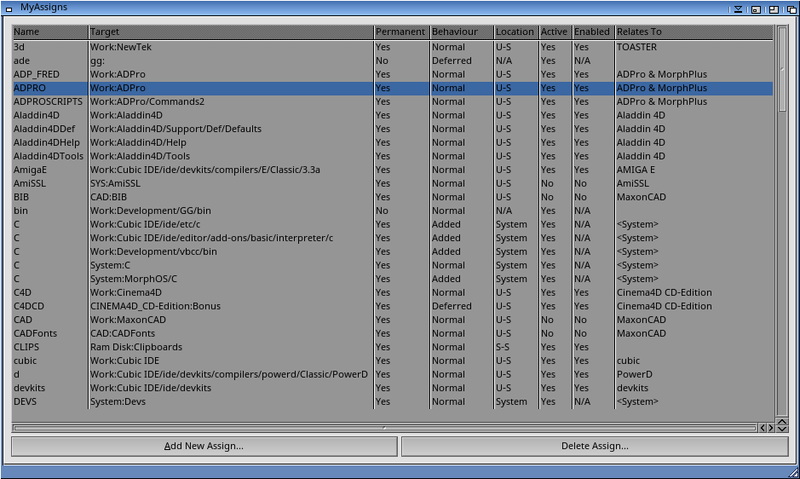 MyAssigns will recognise system-specific assigns on OS3, OS4 and MorphOS. User-Startup before you edit them!